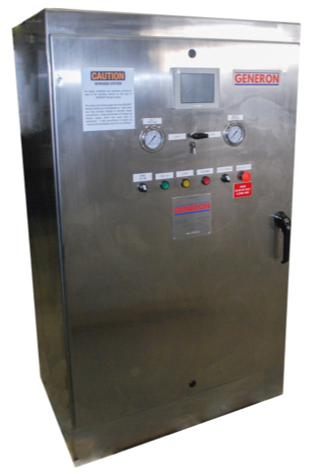 Contracted by Kirloskar Pneumatic Pune India, GENERON has manufactured and supplied another two Membrane Nitrogen Generator Cabinets for marine use. These will be used onboard a Navy vessel for inerting of fuel line and oxygen sensitive applications. Both cabinets are built into Stainless Steel enclosures (IP 65 protection class) with stainless steel piping, tubing, filter housings, and membrane module cases. The electrical design is verified for EMI / EMC compliance. The capacity is rated for 34 M3/h at a purity of 99.2 Vol% inert gas quality.